I want to participate unreservedly in American life. I want to say hello to my neighbors. I want to send my children to school on a bus with their brethren to read of George Washington and Abe Lincoln. I want them to eat peanut butter sandwiches from a paper sack with waxy boxes of whole milk to wash it down. I want to watch the news and not think it's an assault on my worldview. I want to watch the news and not think it's an assault on the worldview of people with whom I disagree. I want to read a newspaper. I want to listen to the radio. I wouldn't mind constructing my own radio with a soldering iron and a few parts that came mail order, but I'd rather not construct the playlist of songs. How would I know what I liked if I had never heard it? I want to order a drink from the well. I want to sit on naugahyde. I want someone to smoke. I don't want to smoke. I want people to make music right there in front of me. I want everybody to know the words. 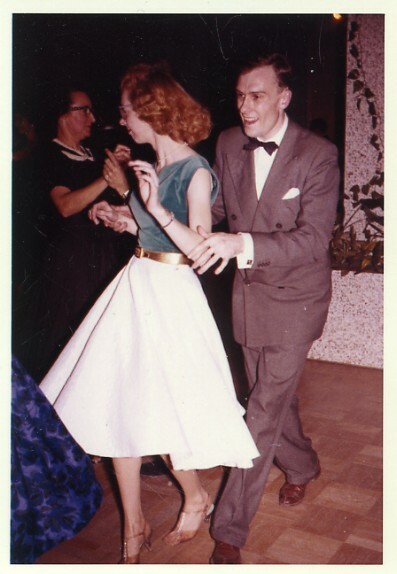 I want everyone to dress as well as they can for a social occasion and still be dressed badly. 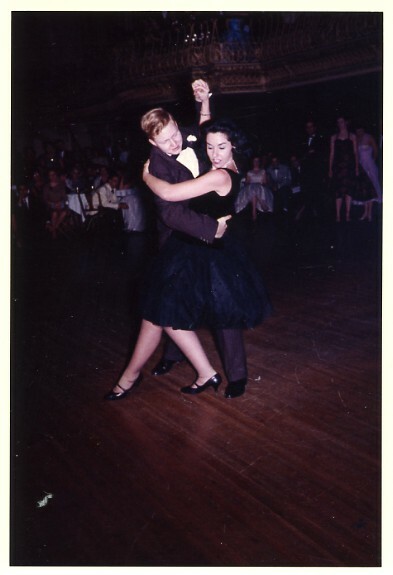 I want to see dress shoes and white socks. I want to see old people. I want to see babies. I want to tell people their ugly children are beautiful. I want the ballgame to be on TV. I want the TV to be on a shelf over a bar. I want to go to church on Sunday. I want to go to a bar on Friday night. 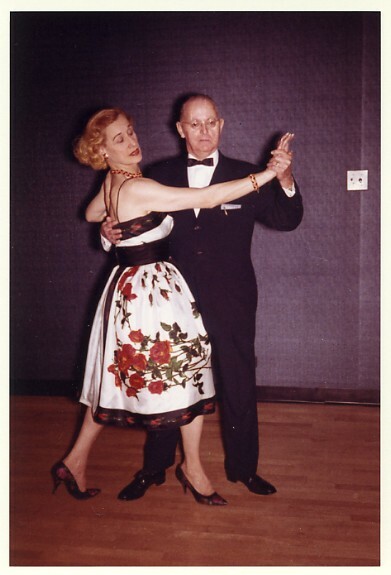 I want to go dancing with my wife of many years on Saturday. I want to be buried in the same suit I was married in. I want people to stand there and look at my cold face and say I was no great shakes but I was alright. I want someone to put flowers on my grave after everyone else has forgotten I was alive. The Mosque of St. Sophia is the chief lion of Constantinople. You must get a firman and hurry there the first thing. We did that. We did not get a firman, but we took along four or five francs apiece, which is much the same thing. I do not think much of the Mosque of St. Sophia. I suppose I lack appreciation. We will let it go at that. It is the rustiest old barn in heathendom. I believe all the interest that attaches to it comes from the fact that it was built for a Christian church and then turned into a mosque, without much alteration, by the Mohammedan conquerors of the land. They made me take off my boots and walk into the place in my stocking-feet. I caught cold, and got myself so stuck up with a complication of gums, slime and general corruption, that I wore out more than two thousand pair of boot-jacks getting my boots off that night, and even then some Christian hide peeled off with them. I abate not a single boot-jack. St Sophia is a colossal church, thirteen or fourteen hundred years old, and unsightly enough to be very, very much older. Its immense dome is said to be more wonderful than St Peter's, but its dirt is much more wonderful than its dome, though they never mention it. The church has a hundred and seventy pillars in it, each a single piece, and all of costly marbles of various kinds, but they came from ancient temples at Baalbec, Heliopolis, Athens and Ephesus, and are battered, ugly and repulsive. They were a thousand years old when this church was new, and then the contrast must have been ghastly -- if Justinian's architects did not trim them any. The inside of the dome is figured all over with a monstrous inscription in Turkish characters, wrought in gold mosaic, that looks as glaring as a circus bill; the pavements and the marble balustrades are all battered and dirty; the perspective is marred every where by a web of ropes that depend from the dizzy height of the dome, and suspend countless dingy, coarse oil lamps, and ostrich-eggs, six or seven feet above the floor. Squatting and sitting in groups, here and there and far and near, were ragged Turks reading books, hearing sermons, or receiving lessons like children, and in fifty places were more of the same sort bowing and straightening up, bowing again and getting down to kiss the earth, muttering prayers the while, and keeping up their gymnastics till they ought to have been tired, if they were not. Every where was dirt, and dust, and dinginess, and gloom; every where were signs of a hoary antiquity, but with nothing touching or beautiful about it; every where were those groups of fantastic pagans; overhead the gaudy mosaics and the web of lamp-ropes -- nowhere was there any thing to win one's love or challenge his admiration. The people who go into ecstasies over St. Sophia must surely get them out of the guide-book (where every church is spoken of as being "considered by good judges to be the most marvelous structure, in many respects, that the world has ever seen.") Or else they are those old connoisseurs from the wilds of New Jersey who laboriously learn the difference between a fresco and a fire-plug and from that day forward feel privileged to void their critical bathos on painting, sculpture and architecture forevermore. I remember the dark days before Nuvi. Being lost in a car was a fairly regular occurrence for me. I built and repaired things out in the landscape, and I had to find my way to them first. More often than not, I was supposed to meet a homeowner or some other interested person at these prospective jobs at an appointed hour, so time was of the essence. In my experience, a person who can direct you to their location with any sort of accuracy is a very rare person indeed. Most people simply say things like, "Do you know where the... "
Listen, if I knew the local landmarks, I wouldn't need directions. People rely on what's familiar to them by and large, and what's familiar to them encompasses a very short list of things. Precision in directions is almost unheard of. I eventually accumulated a substantial supply of gigantic streetmap books in my car, took the "take a left at the rock that looks like a bear" directions with a grain of salt, and carried on, until Nuvi saved me entirely with her curt, clipped directions. She even reads street signs at night for me. I noticed something about my behavior, and the behavior of many other people, when I got lost. You speed up. The lost-er you get, the faster you go, and the more frantic you become. There is almost no better time to slow down and think things through than when you're lost, but people don't do it. People behave just the opposite, almost to a man. It's the same reason an inveterate gambler lays his last, borrowed dollar on the green baize. He's trying to win back everything he ever lost, all at once, all the time. If anyone is in the car with you when you're lost, they will get an avalanche of fury directed at them if they find the temerity to mention that they told you to go left a mile back, but you didn't listen. They'll get the same treatment if they say absolutely nothing, because their silence is an accusation, after all. There is no way to be in a car with a person that is lost, and like it. People's judgment gets compromised fast when they're lost. They back up on superhighways when they miss an exit. They take left turns from the far right lane. They tailgate. They drive without looking out of the windshield. They cut through gas stations on streetcorners if the light is red. If they are involved in any sort of fender bender as a result of their situation, there could very well be bloodshed one way or the other by the side of the road. Frantic and angry and late is no way to go through life, son. But that's exactly how the general public acts about everything all the time now. They're lost. Almost everyone is traveling to a location they cannot name, but they seem hell bent to get to. Every milepost, sign, and touchstone that formerly directed their travel through life has been defaced or destroyed by vandals. They have map books that consist solely of dead ends on other planets. They started off edgy but by now they're entirely unglued. They will turn on anyone that comes into their line of sight. Even a Good Samaritan better watch out, as no amount of help is ever enough to turn back a clock. Anything resembling advice is seen as vilification, and even the mildest sort of criticism is an imperative to immediately drop the gloves. Everybody is stretched to their absolute limit, and further, and in every which way -- mortgaged and indebted into the hereafter, but still somehow with an enormous budget for dissolution and sloth; overworked but still somehow lazy; fifteen minutes late for being a dollar short -- angry, sullen, wound up tight and drugged insensate at the same time. The laziest person in the country is very, very busy being lazy. I see people that look like hobos walking by the side of the road, texting furiously while they walk, as if they were a captain of industry who needs to keep in constant touch with lots of important persons over serious affairs. There's no rest for the wicked, and everyone's wicked. If you interrupt, in any way, anyone's frantic attempt to get nowhere for no particular reason in order that they might achieve an equanimity they'd reject as boredom, and by doing so become conspicuous in their mind at the wrong time, which is all the time, you can expect the full fury of their frustrations to be immediately heaped upon you -- some real, most imagined, all overlaid with the dull image of violence and degradation that is their daily entertainment, and cozened to the top of their to-do list by the buzzing saw of a cocktail of drugs, illegal and prescribed, that they take to keep going, faster and faster, and basted in the inchoate fear that they're missing out on something. 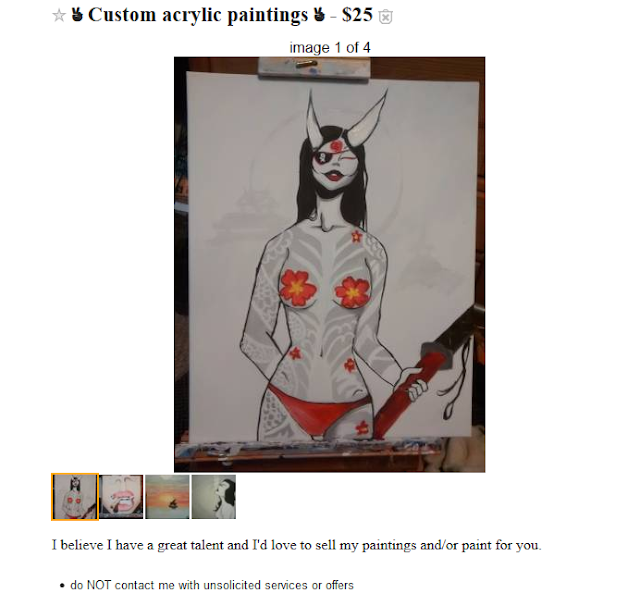 The Maine Craigslist isn't a collection of items for sale. It's a happening. A cultural phenomenon. 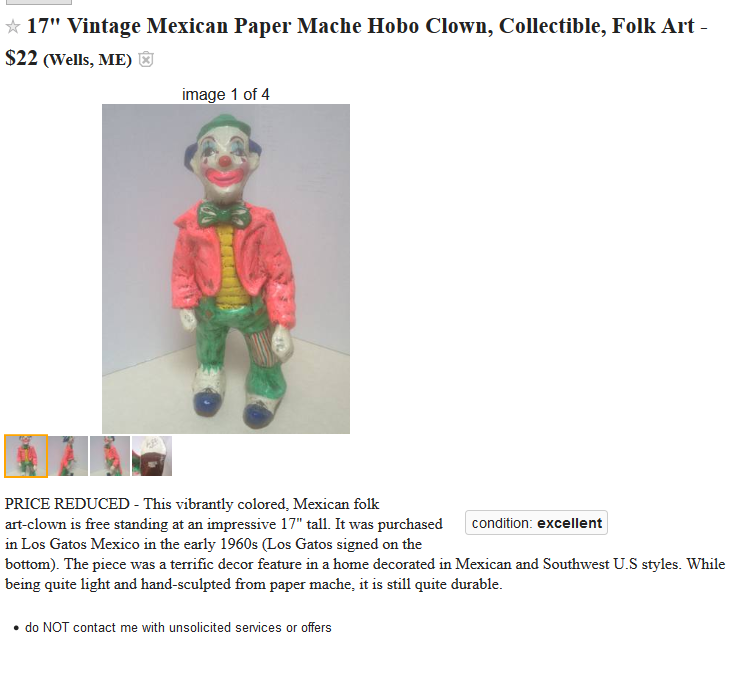 It is an encyclopedia of hopes and dreams. It's Maine, so the hopes and dreams don't cover a lot of ground. It's understandable. The ground isn't entirely frozen any more, so it's harder to cover a lot of ground this time of year. It's kinda squishy, and will capture the odd Bean boot if you move too quickly. Maine's a big place, geographically speaking. It's about the size of Ireland. It's entirely bereft of blarney, however. Mainers are incapable of projecting the false front of bonhomie that blarney requires. They are bereft of whimsy. This Maine Craigslist Cultural Encyclopedia is a great example of the heartfelt sincerity of the place. 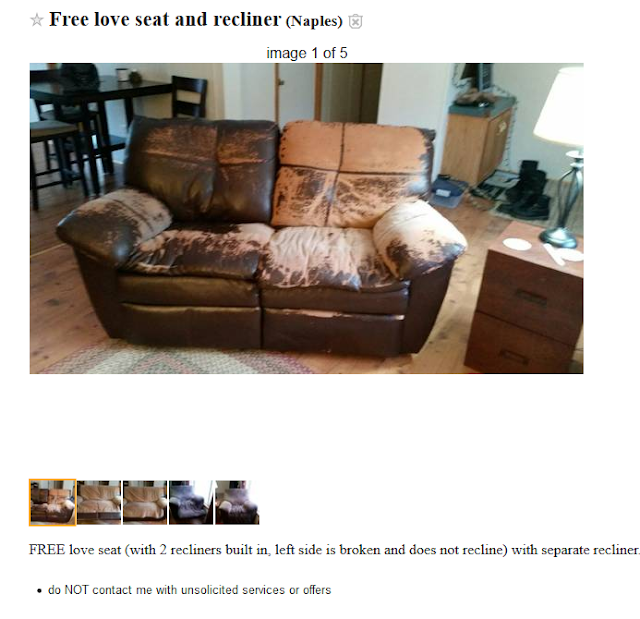 There is nothing ironic in the Maine Craigslist. Or more accurately, there is nothing deliberately ironic. It's refreshing to live in a place where you are what you is, as they say. So please -- no mockery. These people are in dead earnest, and deserve, if not respect, at least a hand in front of your mouth while you giggle. It's a Kim size mattress. Kim's pretty big by the looks of it. Not washing with a rag on a stick big. More like shopping at Marden's on a hoverround big. Maine people are kind to one another. It's nice to see plain affection stated publicly once in a while. It refreshes the senses. 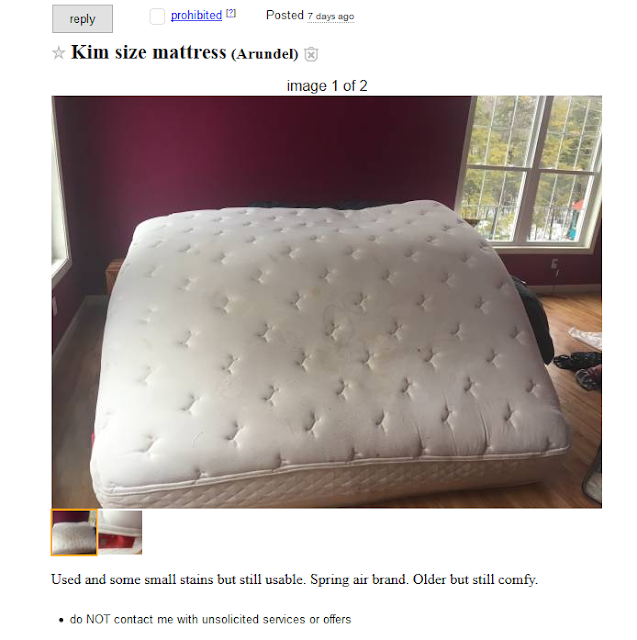 It's nice to know that somewhere in Arundel, Kim's beloved wanted the whole world to know that she's older, but still comfy. Hallmark's got nothing on that guy, I tell you what. Don't you hate it when your boyfriend has eczema, and you don't, and you wear out the pleather couch unevenly? People seem to think Stephen King is a good writer. I don't. I don't even think he's a writer. He just lives in Maine, looks out the window from time to time, and writes it down. That's not writing. That's typing. 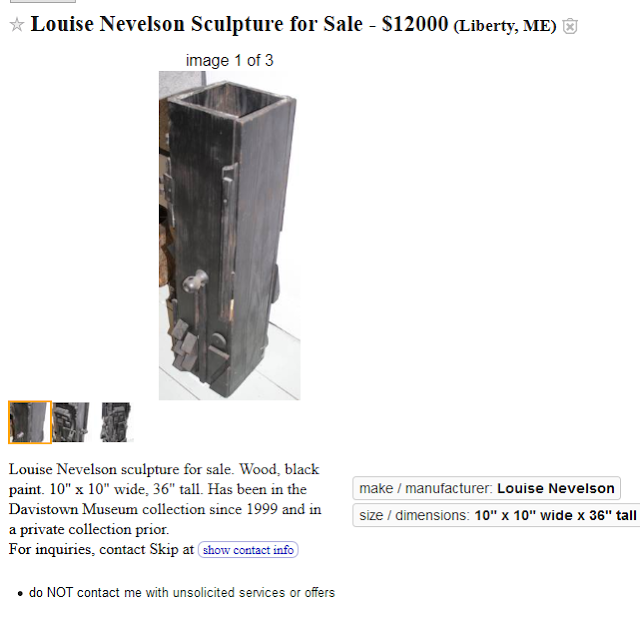 Louise Nevelson sculpture for sale. Wood with black paint. Will burn pretty fair in a stove during shoulder season. Black paint ignites well. BONUS! You'll be able to salvage a perfectly good doorknob from the ashes. No swaps. And I believe I'm Princess Charlotte of Mecklenburg. As the immortal bard, Steve Perry, once wrote, "Don't stop believing." And I am dead certain that this guy had Journey blasting the whole time he was painting this. It's Saturday, right? I'm way behind. I'm pretty sure Saturday is traditionally the day I post Thai cover versions of Badfinger songs. I may have forgotten to post Thai covers of Badfinger songs one or two weeks out of the last fifty or sixty, but for the most part, I never miss. I like to follow that whole scene, you know, the Bangkok Badfinger cover scene. I try to stay away from obscure stuff on the Intertunnel, and stick with middle of the road selections. Apropos of nothing, I'm fairly certain the very last time I played music is in this video right here. Seven years ago my friends dragged me over to their house to get outside some beers and make some noise one last time. I put the bass in the case after, moved to Maine, and never opened it again. Yep, it's a Badfinger cover. There's also a cover version of me playing the guitar.